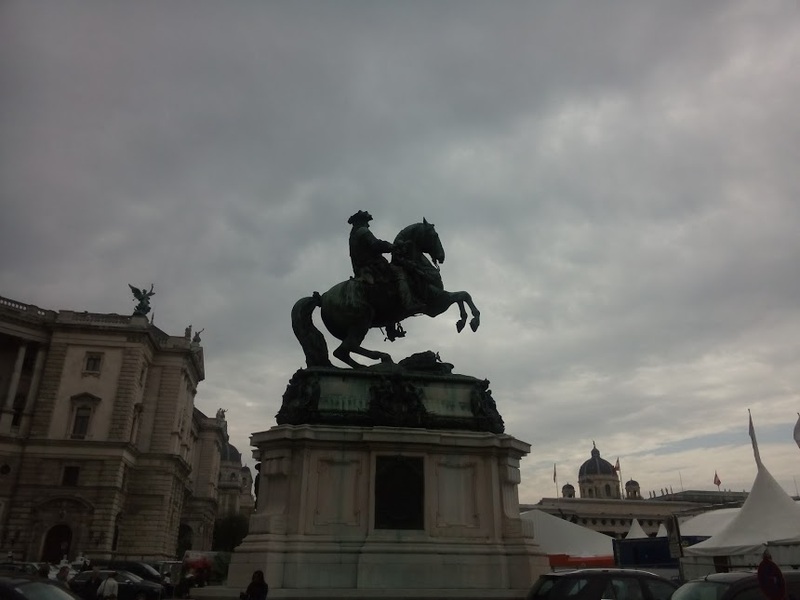 On a cool and windy day in Vienna history was made. 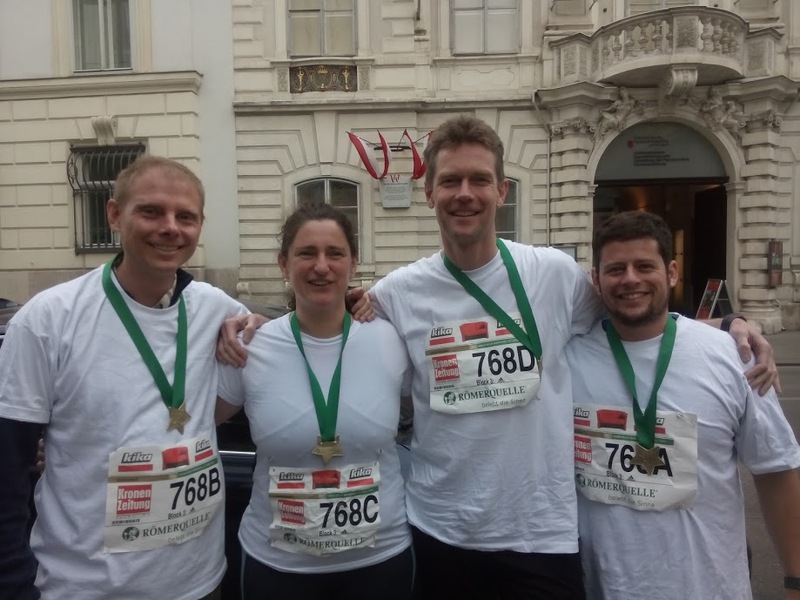 Not just a record time for the top runners in the Annual City Marathon, but also a superb performance from our Vienna Shambhala Relay team. Our four fearless runners have been training throughout the winter as well as attending Running with the Mind of Meditation evening classes and contemplating the qualities of enlightened running. Center Director Grit Turnowsky gathered the team of Stefan Kapeller, Gerhard Boeck and experienced marathon participant Alexander Lehner and they spent many hours running together and preparing for the big day. Grit told me afterwards how Alex woke them all in great excitement at 8am on the morning of the race to go through the final details. Stefan spoke of his frustration at not really being able to move forward amidst the 40,000 other runners at the start. However he beat his own goal time by 10 minutes, as did Gerhard and Grit, handing over to Alexander to enjoy the final 11 km with a good pace. 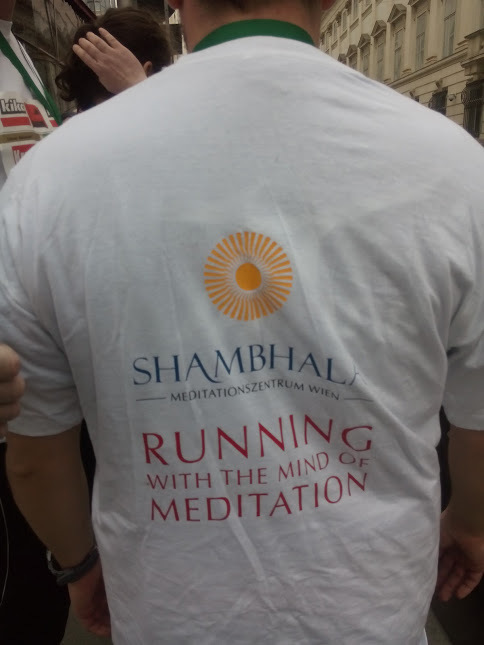 At the closing celebration plans were being made for a Running with the Mind of Meditation weekend next year to coincide with the Vienna Marathon on April 12, 2015, and we are hoping to attract some international participation.